Are your vitamins giving you acne? If you're plagued by spots but can't work out what's causing them, help could be at hand. A new study has found a link between vitamin B12 and blemishes, which could mean that reducing the amount you eat will have a big impact on your skin. The vitamin is found in meat, eggs, dairy and fish - as well as the polarising condiment Marmite - and according to the research, it changes the way bacteria on the skin works. 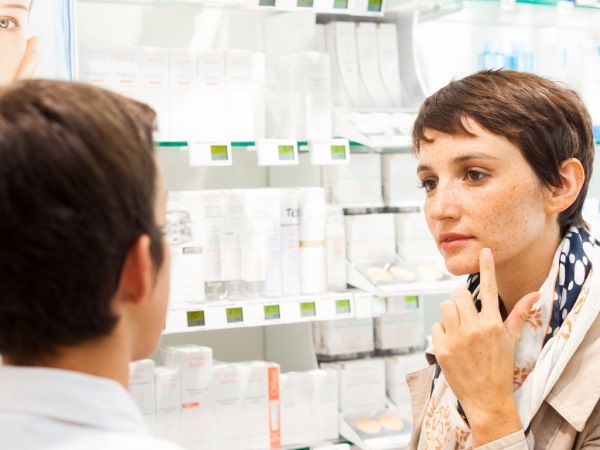 For those who lean more towards spotty skin, this results in an increase in blemishes or acne. It's already known that taking the nutrient as a supplement can cause bad skin, but this is the first time scientists have been able to explain why. It's because the vitamin changes the chemical activity of Propionibacterium, the acne-inducing bacteria, meaning it starts to create an inflammatory mixture which causes spots. "Future follow-up studies may potentially lead to the development of new therapeutics for this medically important disease," the American team explained in the research, which was published in the Science Translational Medicine journal. It's important to note that not everyone who ingests the vitamin will break out, as there are other variables to take into account - such as skin bacteria. The breakthrough was made when ten people were given vitamin B12 supplements and then observed. After a week, one of them had developed spots, after which bacterial samples were taken from each of them and compared. It was discovered that taking in more of the vitamin meant bacteria stopped producing B12 itself, which in turn meant there was more of an inflammatory substance called porphyrin. This is secreted by bacteria and has already been linked to acne breakouts. However, it's important to remember that vitamin B12 is a vital part of diet so it should never be completely removed. It is one of the things which keeps the nervous system healthy and being deficient in it can cause a series of issues, including extreme tiredness, depression, muscle weakness, pins and needles and issues with memory and judgement.